Stripe specializes in helping those who’re running internet businesses, and they handle billions of dollars in transactions every year for these merchants. All-in-one payment service provider? Yes. 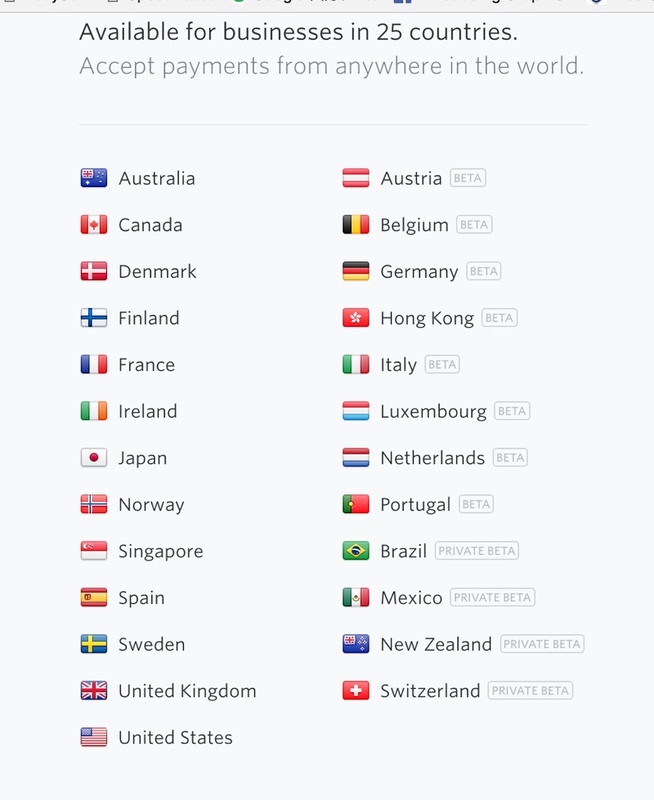 You just need to get a Stripe account in order to get access to all of Stripe’s features. No separate merchant account needed. 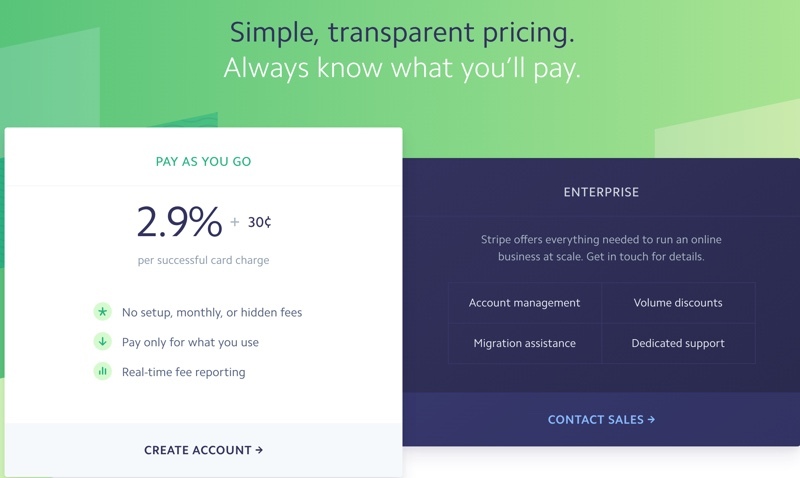 Stripe comes with a simple, straightforward pricing model. 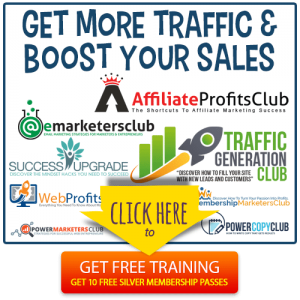 There is no monthly fee and no setup fee. When you compare the features you get with Stripe’s flat-rate fees, you’ll find it’s a pretty good deal when compared to the more expensive options such as Authorize.net and PayPal Payments Pro. Funds are held and then released to a merchant account on a rolling basis every seven days. US merchants receive funds every two days on a rolling basis. However, you can accept payments from customers who live all over the world. 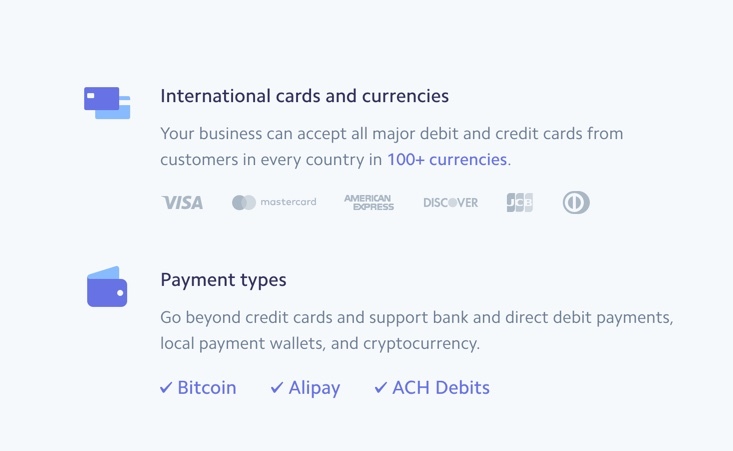 Stripe lets you accept all major credit cards if you live in the United States, including Visa™, MasterCard™, Discover™, American Express™, Diner’s Club International™, and JDB™. If you live outside of the US, your options are slightly more limited. Australian, Canadian, European, Hong Kongese, Japanese, and Singaporean businesses can accept Visa™, MasterCard™, and American Express™. In addition, you can accept prepaid credit cards of the same type listed above. You can accept payments from anywhere in the world, and in some cases you may be able to charge your customers in their local currencies. Stripe also supports Bitcoin, Apple Pay, Android Pay, and China’s Alipay. Yes, and there is no additional cost to use this service. Do note that your domain will need a security certificate in order to process transactions in this manner. Yes! You can create a charge manually by clicking on the gray “+ Create Payment” link in the upper right corner above your recent payments list on the payments page. However, Stripe has made it clear that accepting phone orders or manually entering charges through your dashboard must ONLY be performed when there are exceptional circumstances preventing you from processing charges using the integrated form on your website. In other words, this cannot be the primary method for processing payments on your account. WARNING: When you manually enter card information into the Dashboard, Stripe isn’t able to verify that you’re keeping this information secure—so you’re responsible for ensuring that you protect your customers’ card information in accordance with the PCI compliance requirements. What if you don’t have your own Stripe integration set up? In that case you can make use of a secure and reputable third-party integration, such as an invoicing service or online marketplace. This ensures that you’re processing charges in a secure, PCI-compliant manner. With numerous plugins and ease of integrations, Stripe is one of the top all-in-one providers. It is widely used and supported by many platforms. In fact, it powers the payment systems behind companies such as Kickstarter, Shopify, Squarespace and more. To find out if Stripe works within your existing business infrastructure, see their extensions and integrations here. Can you accept Stripe payments from your customers in person using your mobile phone? Yes, you can. You’ll need to use the Shopify POS , or you can choose other 3rd party solutions listed here . Can you export data if you decide to leave the platform? Yes. Stripe will ask for the PCI-compliant provider to specify which data should be transferred. Best of all, there is no fee associated with this export. Can you import card numbers from your existing provider to this provider? Many online business owners enjoy using Stripe, especially since it’s so easy to set up and is very powerful for the price. In fact, Stripe is a favorite payment gateway provider of many SAAS providers. Their API is well-documented, easy-to-use and has a good reputation with SAAS providers and developers. Plus with the ability to save credit card information for future use, recurring billing is fairly easy. If you don’t want to touch code, you don’t have to. That’s because there are many plugins that integrate with WordPress, WooCommerce and many other popular platforms. In many cases, all you need to do is enter your Stripe keys, and in just moments you’ll be ready to accept payments. Now having said that, not every business can use Stripe as their gateway. Stripe prohibits businesses that deal with adult content, get rich quick schemes, unauthorized goods, regulated goods, gambling, MLMs, social media followers, and many other high-risk businesses. Before you consider Stripe, be sure to check their list of prohibited businesses here. Also make sure to read their terms here. You can reach Stripe’s customer support via email. If you’re a developer, you also have the option of reaching them through an IRC chat. 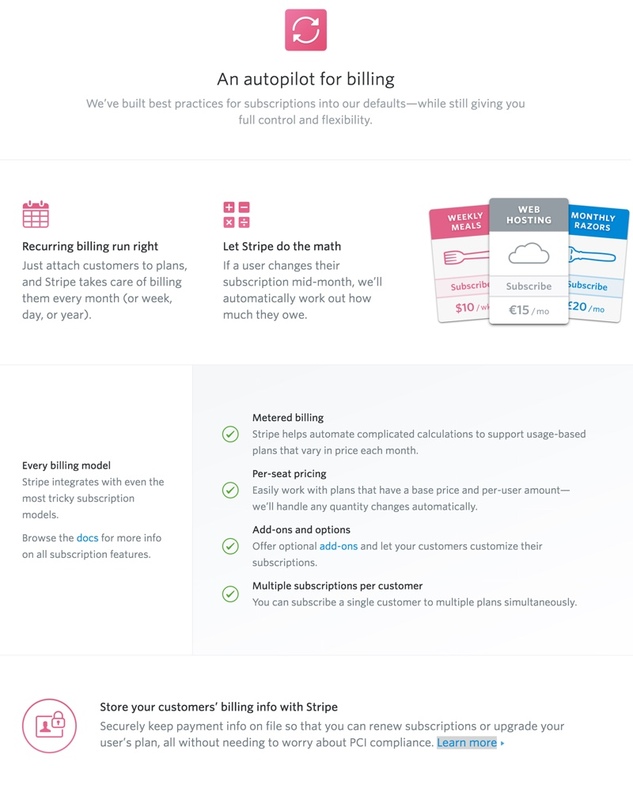 Please note that Stripe does NOT offer telephone support. This lack of telephone support and live chat may be a deal-breaker for some business owners. Also, do note that they provide a comprehensive how-to guide and other documentation. 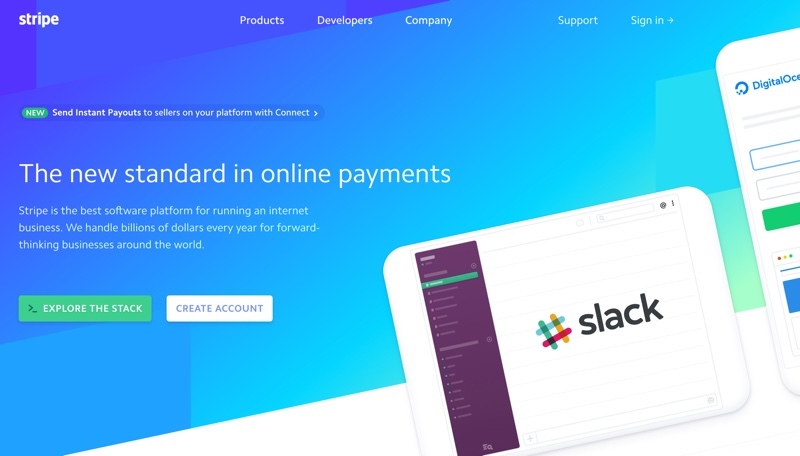 Stripe was founded in 2010 with a service tailored to merchants with access to web developers who want to customize the application according to their specific payment needs. And in that respect, Stripe has done extraordinarily well. They are easy-to-use, and we love the smart and beautiful check out flow. They have a BBB Business Review with an A+ rating. At the time of this writing, there are 362 complaints in the last three years, with 135 complaints closed in the last 12 months. However, a quick search online shows that Stripe does have negative reviews around the web. The common issues we see are related to sudden cancellation of merchant accounts, reserves behind withheld without notice, and difficulty reaching customer support. Some of these issues may be due to the fact that Stripe makes it exceedingly easy to set up an account. 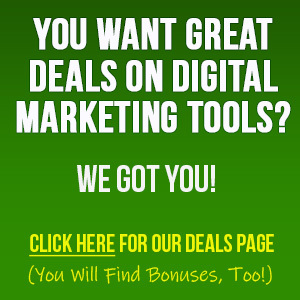 They don’t have any set up fees, monthly fees or monthly minimum charges. So that means just about anyone can set up an account and be ready to go in minutes rather than days. The downside is that this apparent ease may also attract high-risk businesses, which may the ones who are having their accounts canceled and funds withheld. That’s speculation, of course. 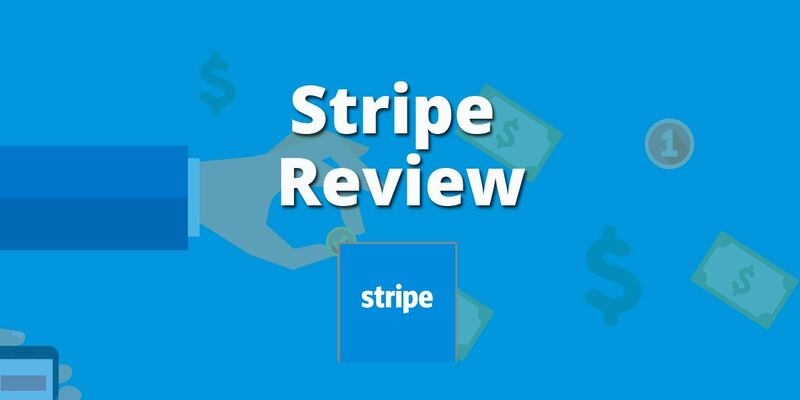 However, we will say that our experience with Stripe has always been good. To learn more and to see if Stripe is a good fit for your business, check them out by clicking the button below. 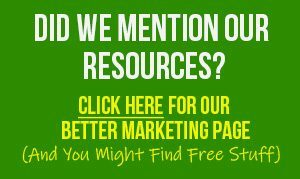 NextCHAT BOTS: THE FUTURE OF ONLINE MARKETING?